Well, maybe two weeks ago I had started seeing Marc from Remember the Astrodome fame's name all about the blogs, and on TCDB as well. So I decided to do a search to see if he needing anything of mine that I had up for trade. That initial offer of about 11-12 cards each way turned into a bigger swap as Marc hunted down more that he needed, and with my gigantic want lists it wasn't hard to turn this trade into a big enough one that made it worth the price of a bubble mailer. I was quite worried that I wouldn't be able to trade for the Shohei Ohtani RC from the A&G set, but thankfully that has been put to rest as it was part of 8 cards that Marc sent my way. This set should be done before too long, as the want list is down to just 20, including 7 SPs. Most of those SPs I've looked up on COMC and are selling in the 50-$1 range, very reasonable indeed. 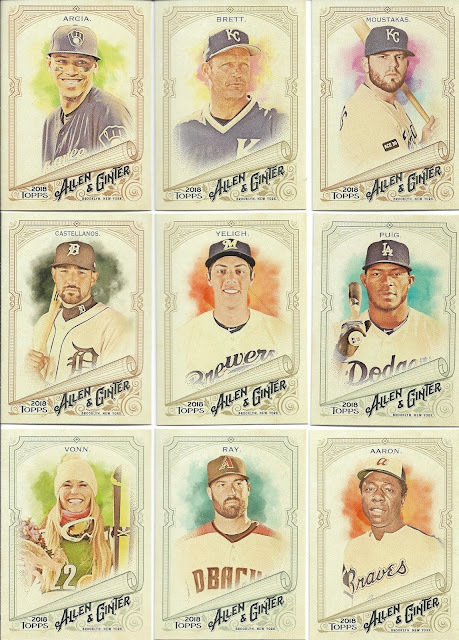 A&G will likely be the first or 2nd set I put to bed this year. 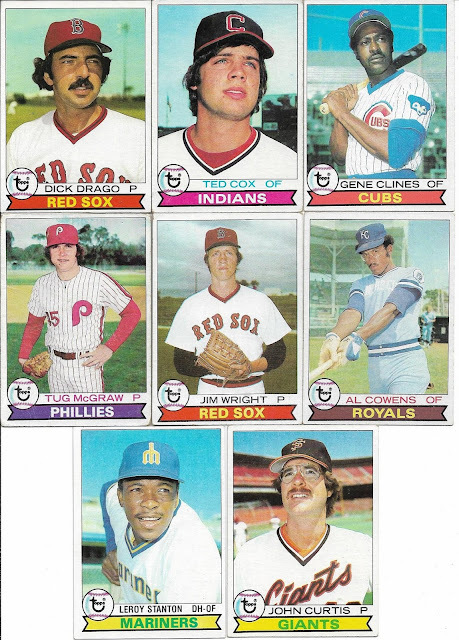 '79 Topps is another set that has been coming along nicely, as I'm closing in on the 60% complete mark. Still so many commons to pick up that I haven't even bothered looking at which RC's need to be found, that will probably come later in the year. 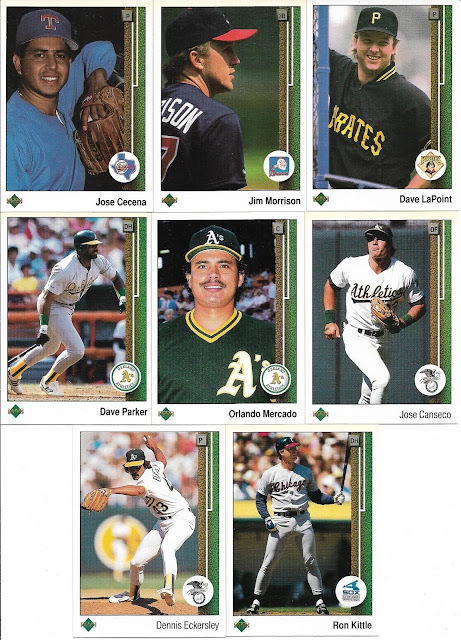 Marc added in a "bonus bag" of cards, which included the 17 1989 Upper Deck cards shown above. 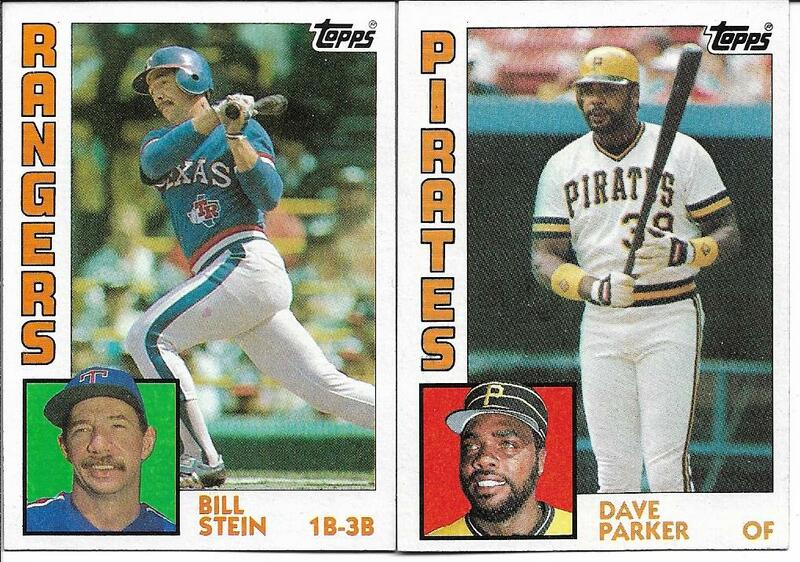 The '89 UD set has been pretty much forgotten for quite a while, as it's been stalled at just over 600 cards acquired. 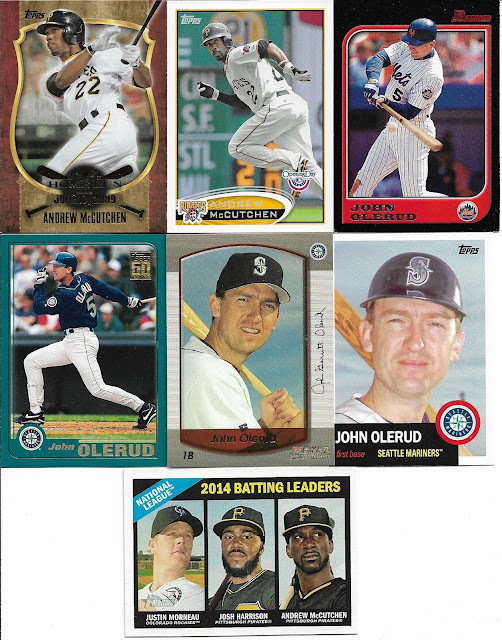 Still quite a few big names to buy for this set, including the Ken Griffey Jr. rookie. Maybe this year I'll work on finishing this one off as well. It could end up being one of the 5 sets that I end up completing this year. That's the goal anyhow. Last up is a few cards for a couple of player collections. 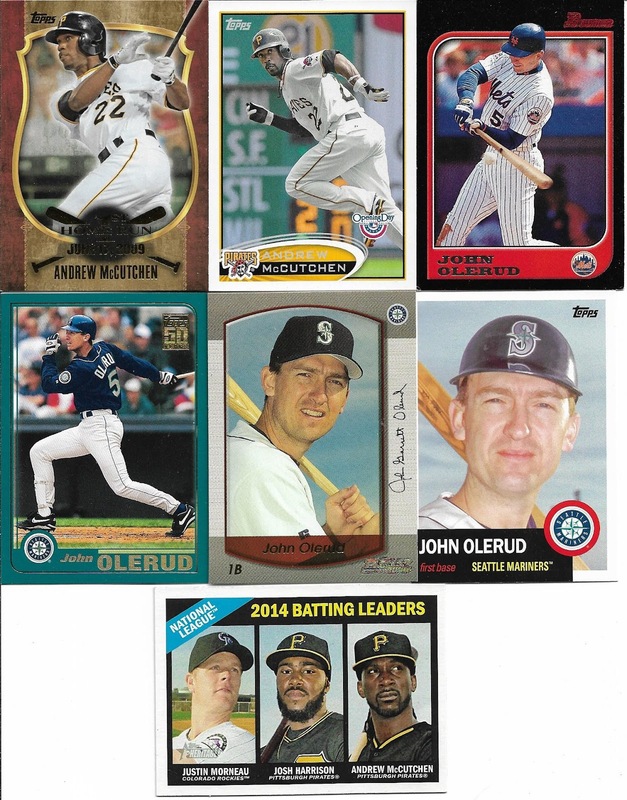 A bit of laziness on my part made the '15 Archives John Olerud card in the middle row look like it was cut off, but rest assured Marc sent me a nice copy in perfect condition. 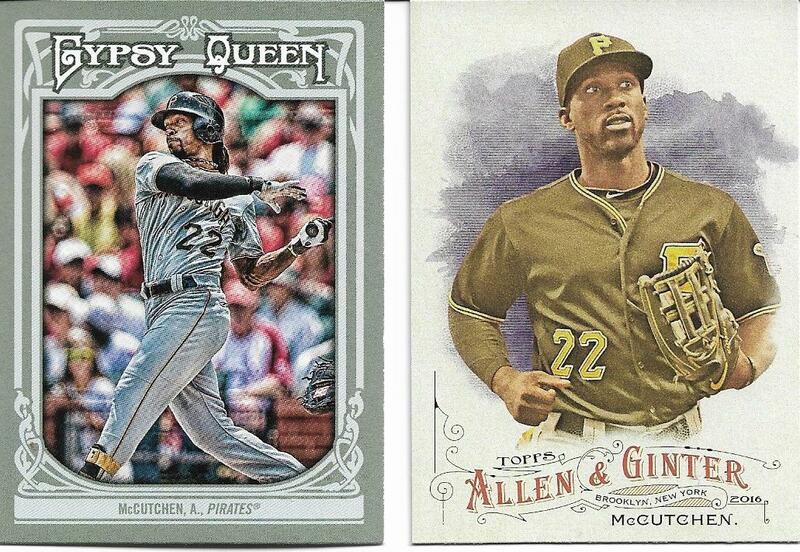 The McCutchen first career home run card is the gold parallel, which is also a nice add. I'm always looking to add common base cards of both of these players to my collection, as I don't own a great deal of either player so far. Marc, thanks for the trade, I'm looking forward to many more with you on the TCDB website!! I was fortunate enough to receive my 50th trade package today from a TCDB member. Many of you know Matt from the Bubba's Bangin' Batch of Baseball Bits blog. Matt is a big A&G collector (maybe the biggest that I know), and offered up a trade to knock down some of my '18 A&G want list for a few of the minis that I received from Wes' big box break (yes Wes, a lot of the dupes and minis are being put to good use)! 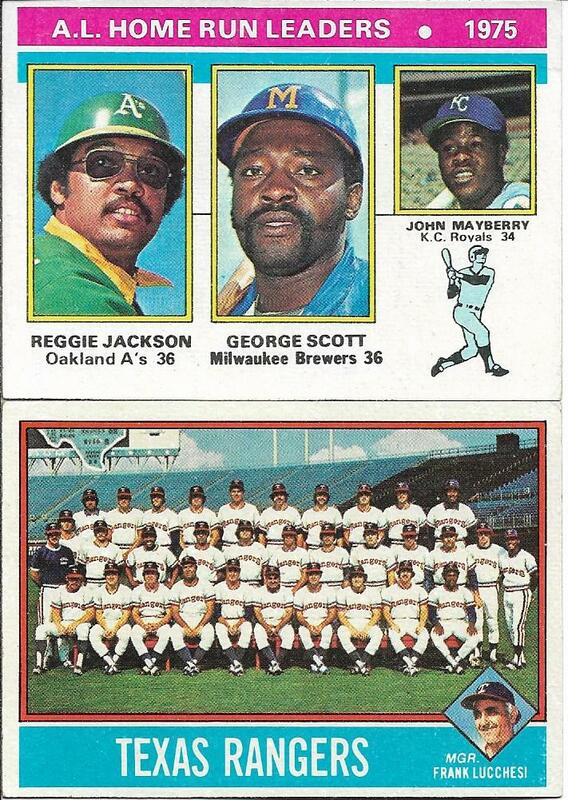 Lots of stars on these 2 scans, including legends Hank Aaron and Jackie Robinson. 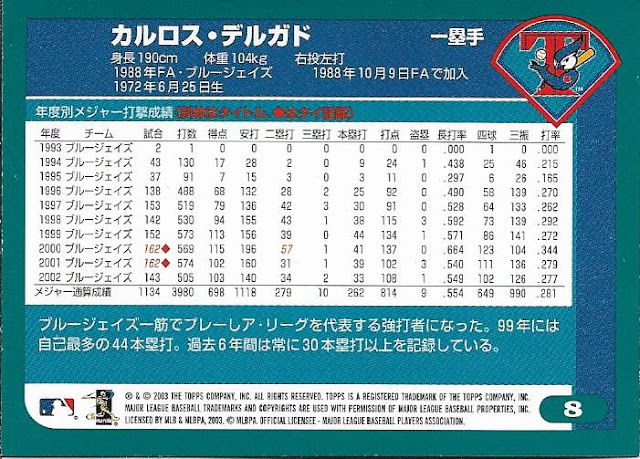 Also, the first scan has one of the Baseball Equipment of the Ages inserts, the modern batting helmet. This is the first time I've seen the card, and kind of got a kick that they used the Twins logo, and not a generic blank helmet. I'm down to 28 to go, 10 of them SPs. 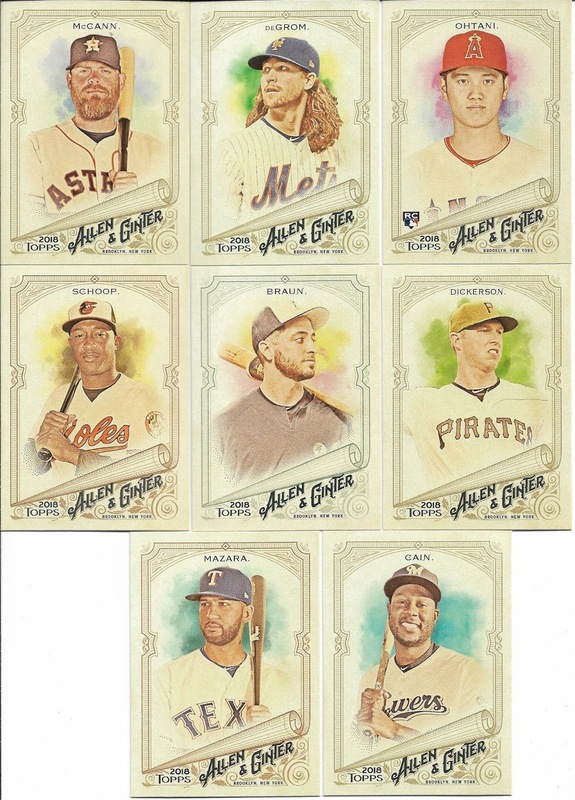 That will change later this week as I have a couple of more trades coming in, one of them having 8 of the A&G cards I need. 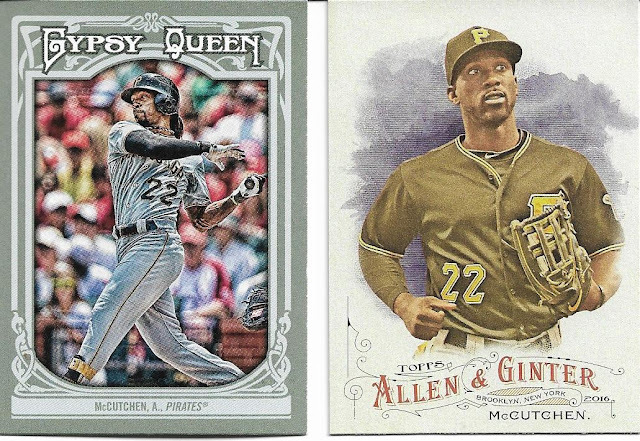 Today's envelope also had a couple of Andrew McCutchen cards I needed. Well, with 50 total trades on the TCDB website completed, that means I have finished 13 so far in 2019. Two more trades were shipped out today so I should have them in the week, bringing the total to 15. Not a bad start, but a long way to go to get to 100 for the year. Thank you for the trade Matt, it is really appreciated! 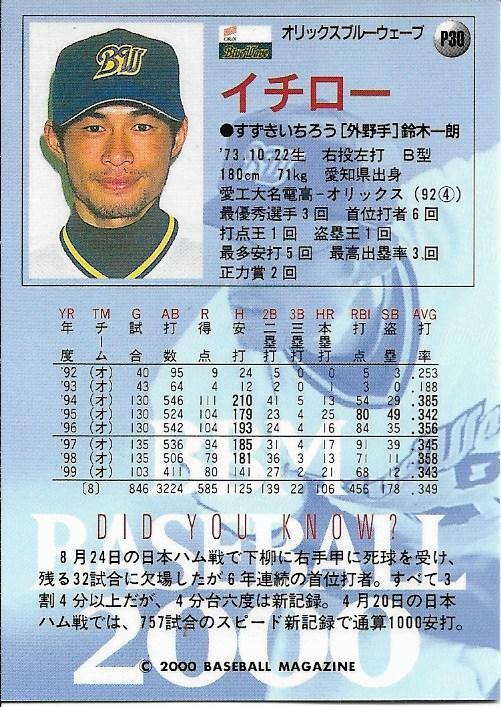 A couple of weeks ago (more like 3...), I received a direct tweet from everyone's favorite Luis Torrens fan, Kenny, asking if I'd received a PWE in the mail from him from Japan. I replied that I hadn't, but I had seen a couple of post in the previous days from others who had, so I was hopeful. 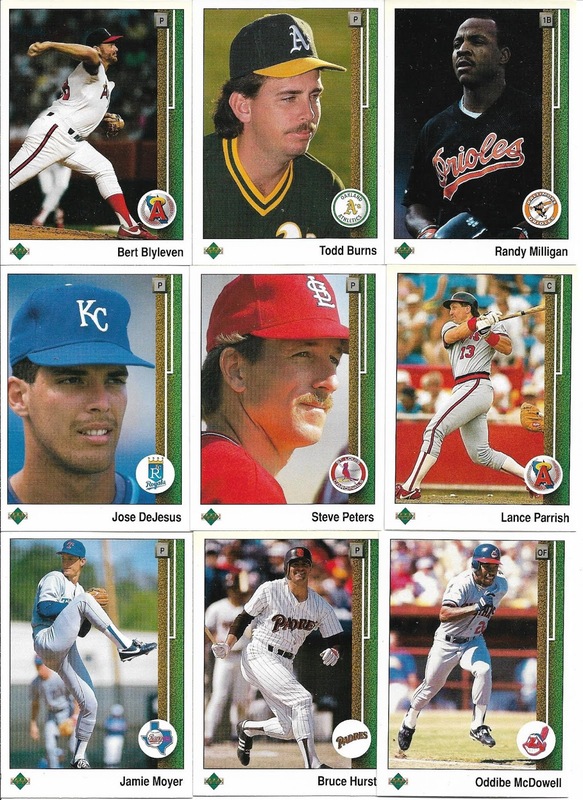 That day, I received my PWE, which contained 2 cards that without Kenny's generosity, probably would have never seen the light of day in my house. 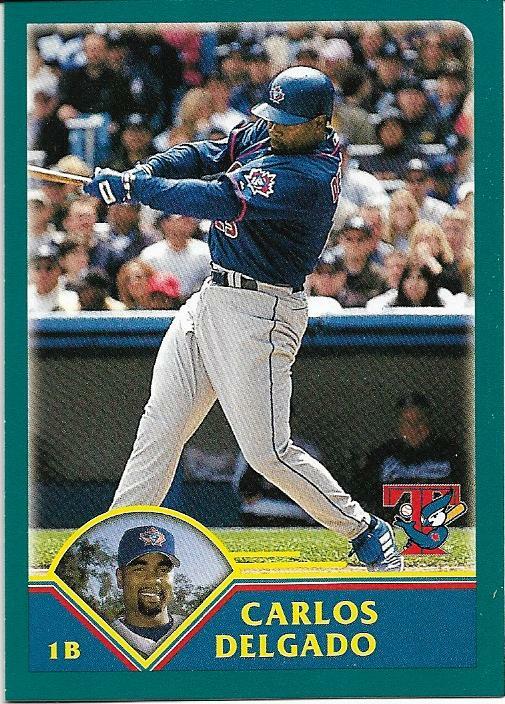 But this next card is certainly something I thought I would never own. 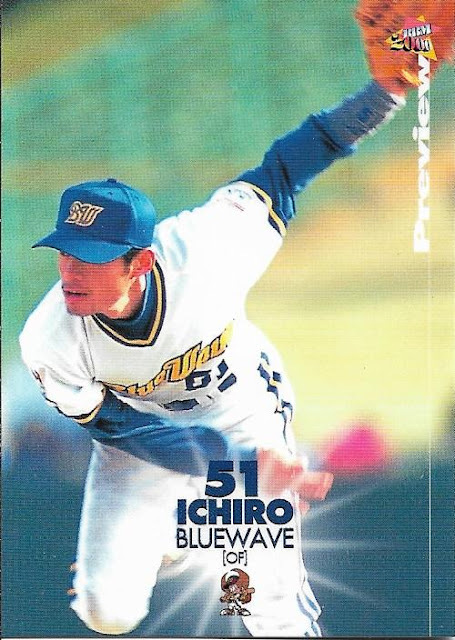 This is a 2000 BBM Preview card, #P30 featuring Ichiro in his Orix BlueWave uniform. What I got a kick out of on the back is there's a "Did You Know" in English, then the factoid is written in Japanese. Wonder why they used 2 languages for that. 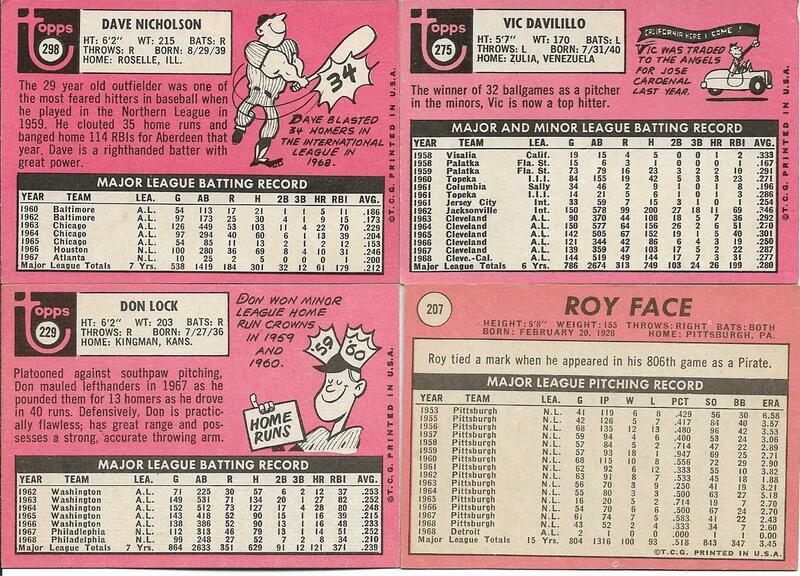 The big thing for me on the card back is his stats. 1992 he started in pro ball as an 18 year old, and fared OK in his first season, struggled in his 2nd, and then just tore up the Pacific League for the next 6 seasons. 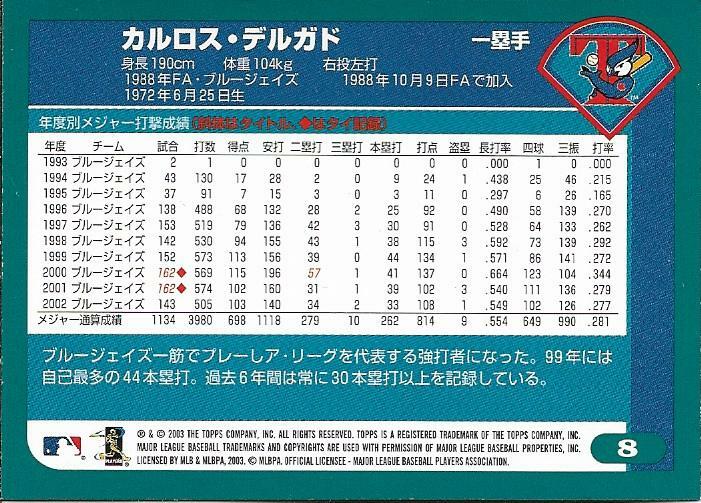 What I learned from looking at his career stats is that if you combine MLB and Japanese stats, Ichiro has 4367 hits. All time hit king? Great envelope Kenny, thank you very much for thinking of me! I had mentioned before the monthly card show a little over a week ago that I had a plan. 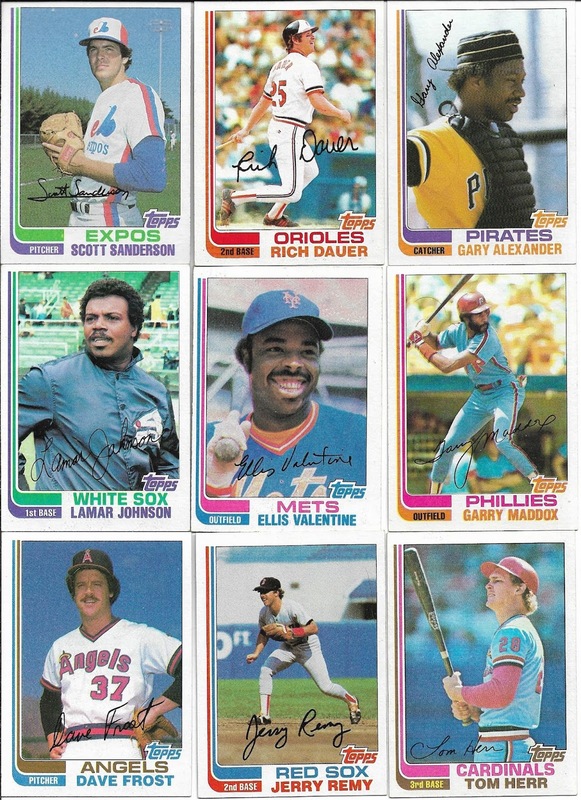 '76 Eckersley RC & '84 Mattingly Topps RC needed to be crossed off the list. It's rare that I go to a show with a plan because I usually end up straying off the plan and then coming home disappointed. I went to the show on Friday afternoon for the first time, as I had heard the dealers mention in their conversations that Friday afternoons always seem to do better. So I booked off the afternoon and decided to see if it was true. 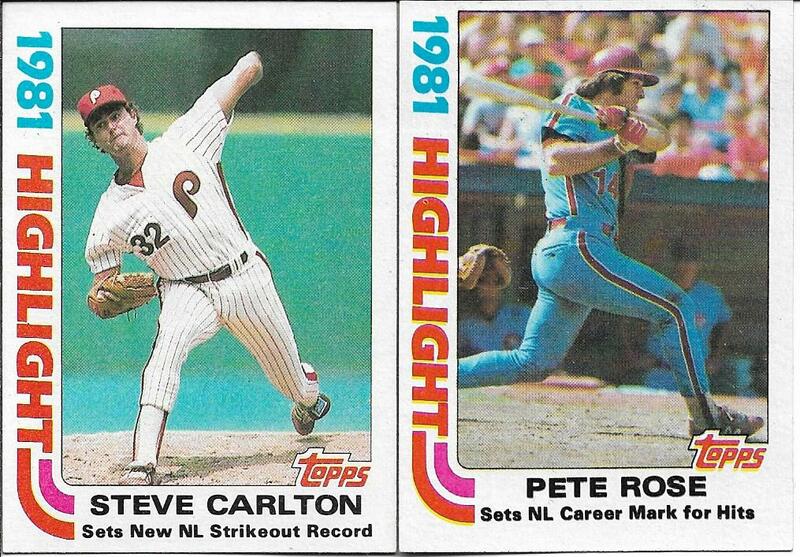 Two nice pieces of the '76 puzzle in hand. Off to the other table, and for $15 I had this card in my possession. All this done in 5 minutes. 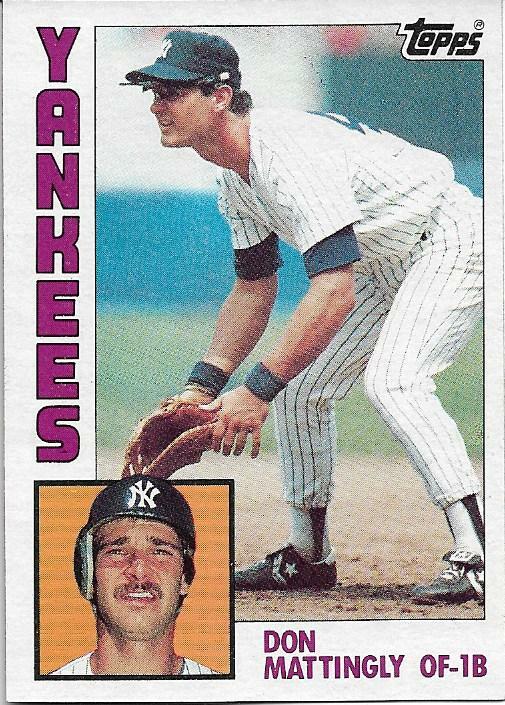 I thanked the dealer who sold me the Mattingly, and looked around. What do I do now? My task was finished, and it was as if someone let the air out of my tires. 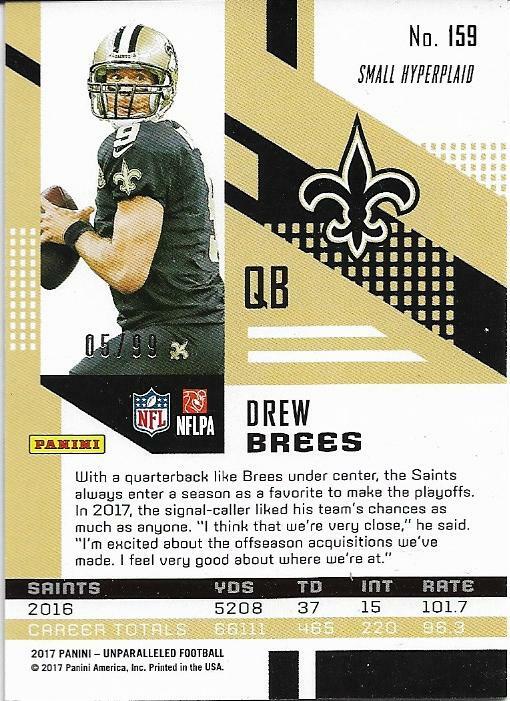 I wound up staying another 90 minutes, bought the Brees card I showed off yesterday from one of my regular dealers, then went home. Can't say I've ever had that feeling at a show before, but if I get that way after adding a couple of nice cards towards 2 sets that I'm building every time, I'll take it. 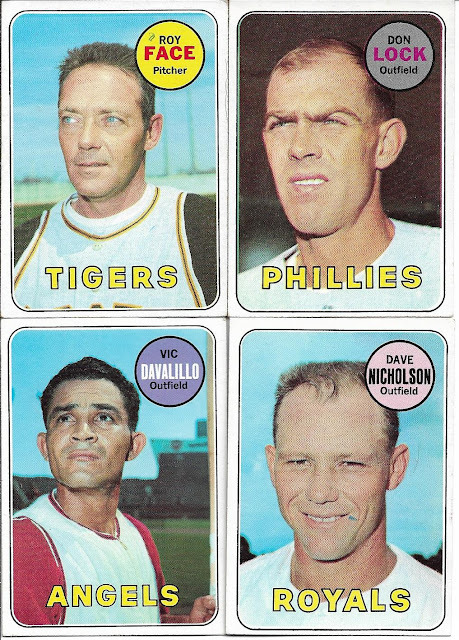 A large part of this blog over its existence has been my love for serial numbered cards. 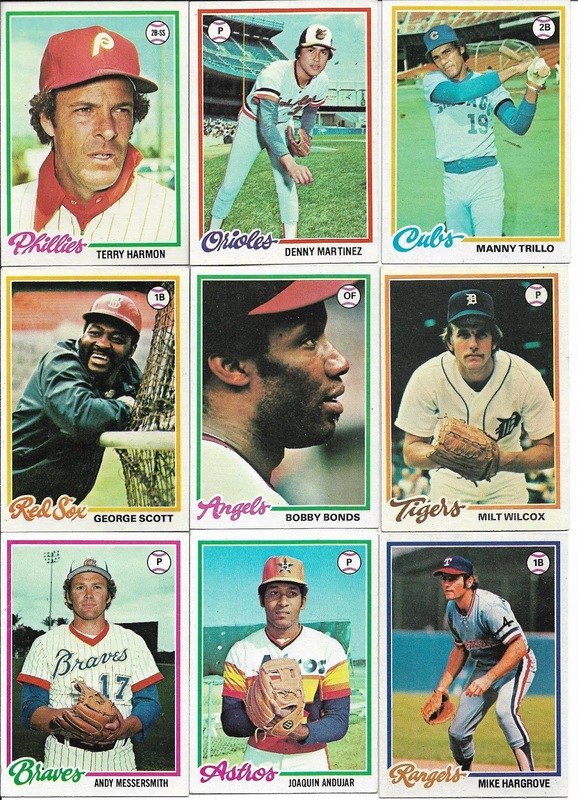 I've been a lover of numbers all my life, so there's no doubt in my mind that serial numbering will be a big part of my card hobby love going forward. 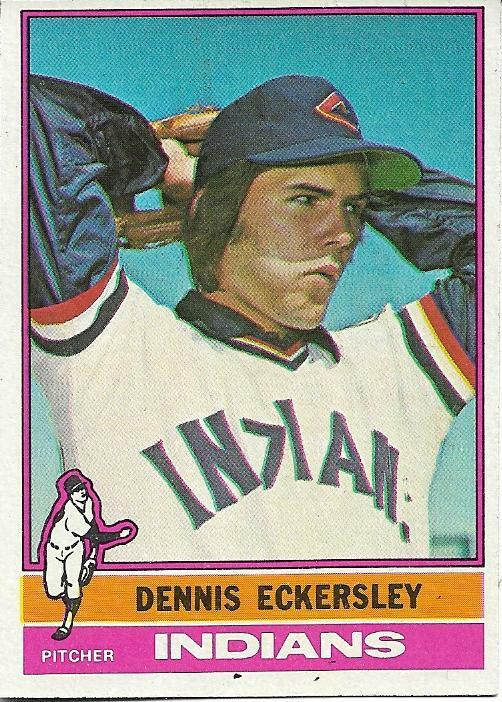 Seeing this card at last week's card show for just $2.50 got the wheels spinning. 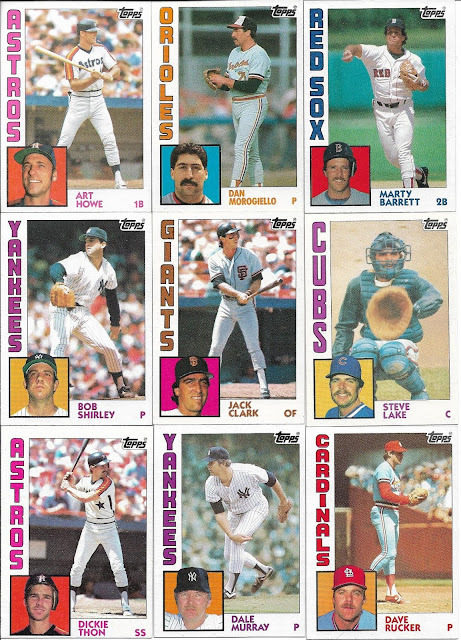 If I can add a card of a certain hall of famer that is serial numbered out of 99 for just $2.50, how many more names could I add to that list? So you'll see a tab added to the top of the blog in the coming days. Cards #/99 for $2.50 or less. As if I didn't have enough sets/projects on the go right? Yep, I'm sick. Hopefully you'll enjoy them as they come along. 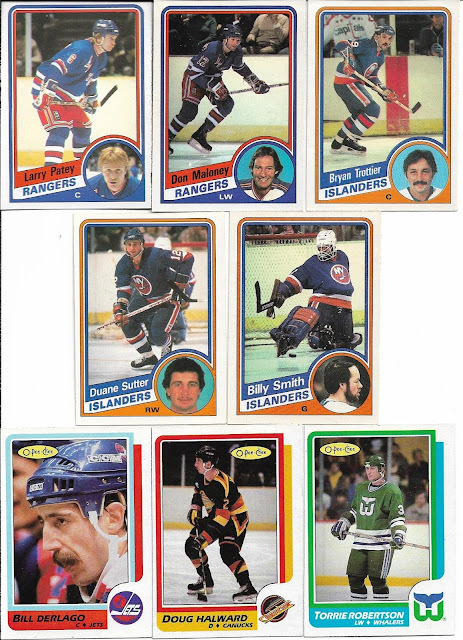 One of the first hockey sets that I ever put together was the 84-85 OPC set. There's no mincing words for me here, I love this set. I will forever regret selling it many years ago. So, I'm slowly putting it together again. I've already picked up a couple of the big RC's, Gilmour and LaFontaine. I'm kind of avoiding the Yzerman, Neely and Chelios rookies for now (although I'm seeing Yzerman RCs right now for ridiculously cheap) and focusing on the commons and semistar cards to knock down the want list. 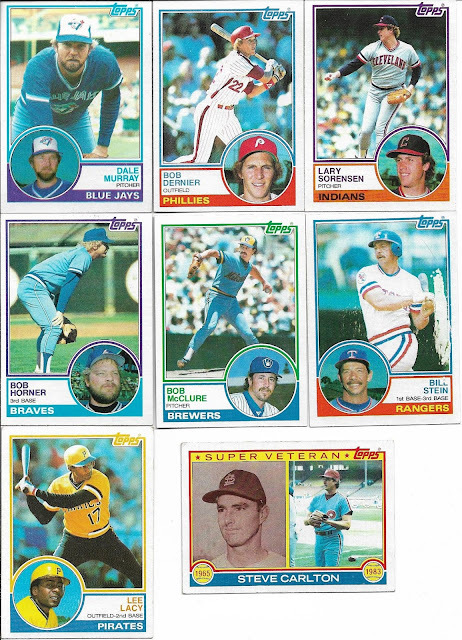 I've found a seller on Sportlots that I like who offers free shipping for orders of 100+ cards, so as part of my latest order I grabbed a bunch of 84-85 cards. If you ever want to watch a great special on what it was like to escape from the communist bloc for a professional athlete, find the hour long special that runs from time to time on the NHL Network that features the Stastny brothers. Peter tells a very compelling story on how they defected from then Czechoslovakia to Quebec City. I love that the name and team plates are in the team's colors. The mid 80's were a great time to be a hockey fan in Quebec, as the Montreal/Quebec series were very entertaining. 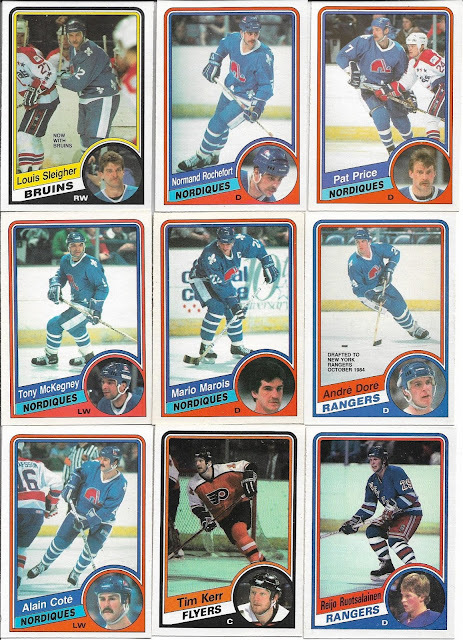 Finding star cards of Islander players for less than 20 cents is always wonderful, so adding Trottier, Sutter and Smith was easy. 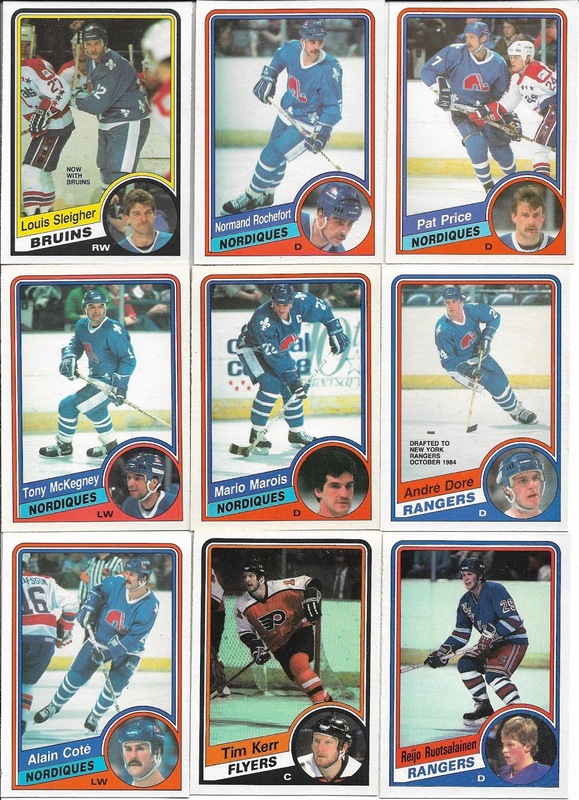 I rounded out the order with a trio of cards from the 86-87 OPC set, including Bill Derlago, who was a favorite of mine with the Leafs in the early 80's after they picked him up in a trade with the Canucks. 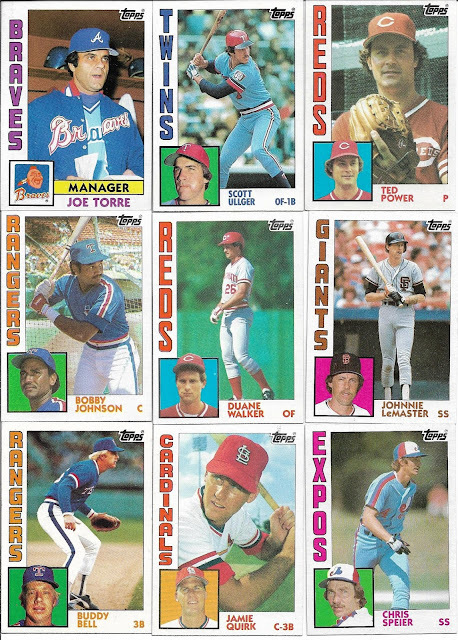 86-87 OPC was a set that I never put together, but always wanted to. I'm slowly picking up cards here and there, but I know that it'll be a long time before it's done as the $200 Patrick Roy RC won't be coming home any time soon. 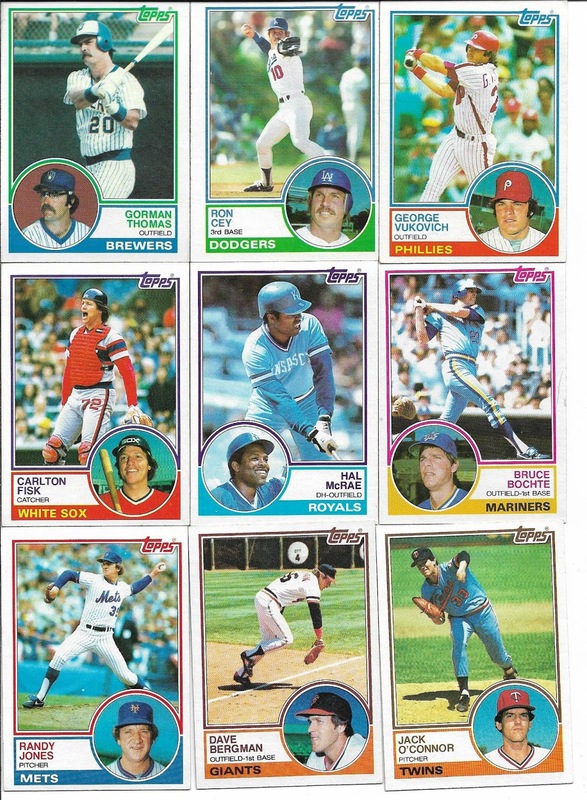 First things first; righting the wrong that was selling the 84-85 OPC set in the first place. You may or may not remember that I set myself just a couple of goals at the beginning of the year, one of them being the lofty goal of completing 100 trades on the TCDB website in 2019. It may be a bit tough to complete this goal, but I'm a little closer this week as I hit the double digit mark with this trade with Charles (TCDB ID: chemistclete). I sent Charles a dozen cards from various vintage and modern sets, and in return I received a bakers dozen cards from 5 sets that I'm slowly putting together. Let's start with one of my favorites, 1969 Topps. Each card I acquire just increases my love for this set, especially the backs. I'm guessing that time affects the shades of pink that the backs have, as many of the cards I have for the set have a sharp/bright pink color, while others (such as the Roy Face) look dull and faded. No matter, as the backs combined with the simplicity of the front will make this set one of my favorites when completed. These 4 put me just over the 1/4 complete mark. 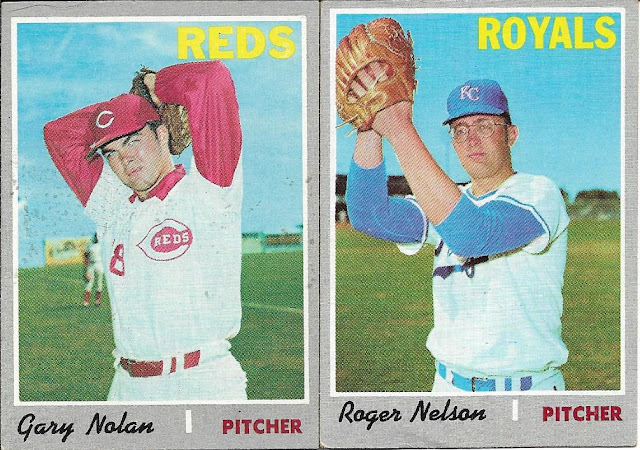 Two more from the '70 set to add to the collection. I still can't believe that even though I've never really "pursued" this set, I'm approaching the halfway mark (just 36 more to go). I'll have to look, but I don't really remember picking up any major stars from this set yet, so that will be another hurdle in completing this one. 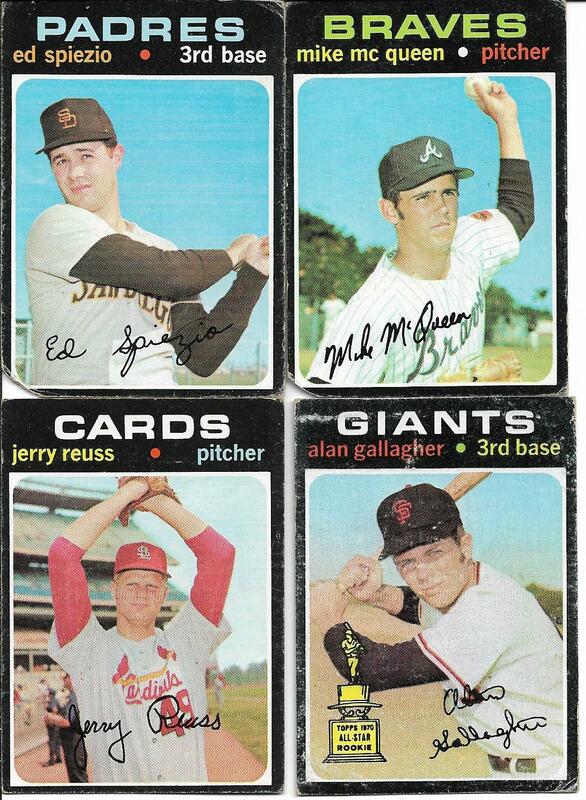 Another set that I really haven't dabbled much in is the '71 set. These 4 cards get me to the 100 card total. As you can see the Spiezio and McQueen cards are going to be set fillers for the time being, as the lower left corners have been clipped, similar to playing cards that have been removed from casino tables. 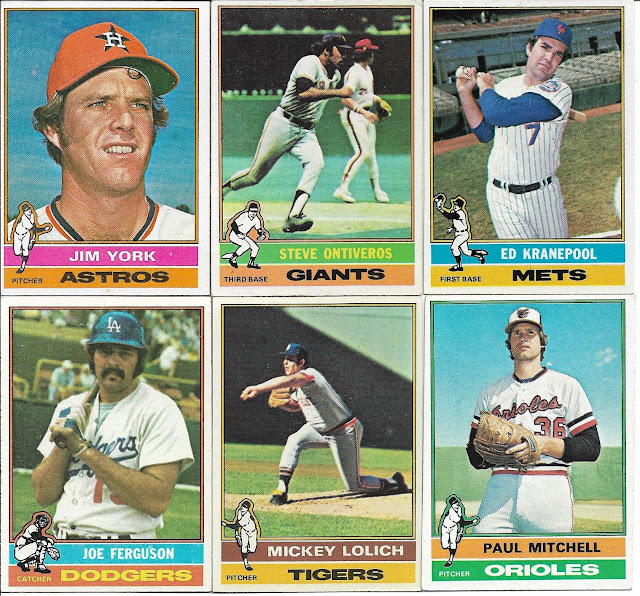 1 from the '78 and 2 from the '79 Topps sets finish off the post. The Jerry Reuss Pirates card might feature one of the brightest uniforms ever featured on a card. Still a beauty though. 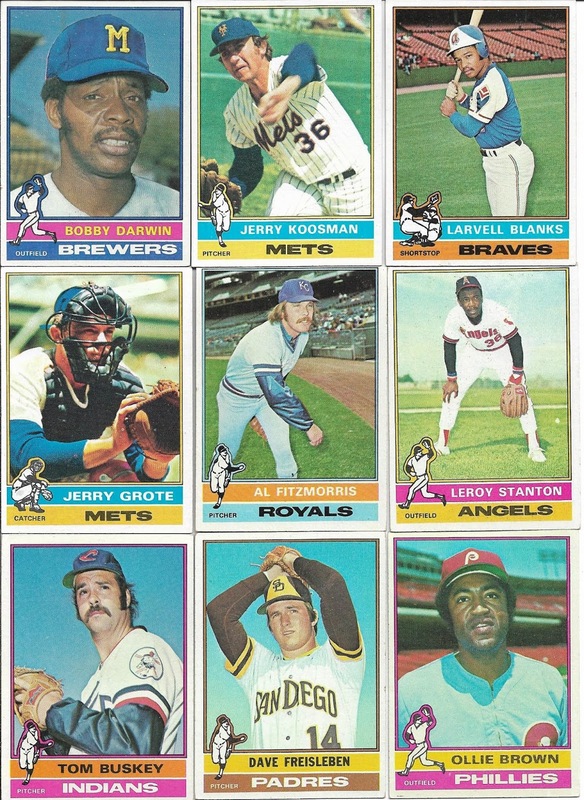 The '79 set might be a contender for completion this year, as I'm just over 57% done now, and if I'm able to attend the NSCC this summer (which is my plan), I'm sure I'll find a few dealers there that can whittle down the list. Trades like this are perfect for me, as they mirror my purchasing habits. A little bit of this and a little bit of that. Charles if you're reading this, thank you for the trade, the cards are appreciated!! I've got cards all over my desk. It's a bit of an epidemic. I've had a few trades come in over the past week. I hit the monthly card show on the weekend. It's been a matter of trying to find time, and when I do find the time, gather the motivation to write some thoughts on the blog. 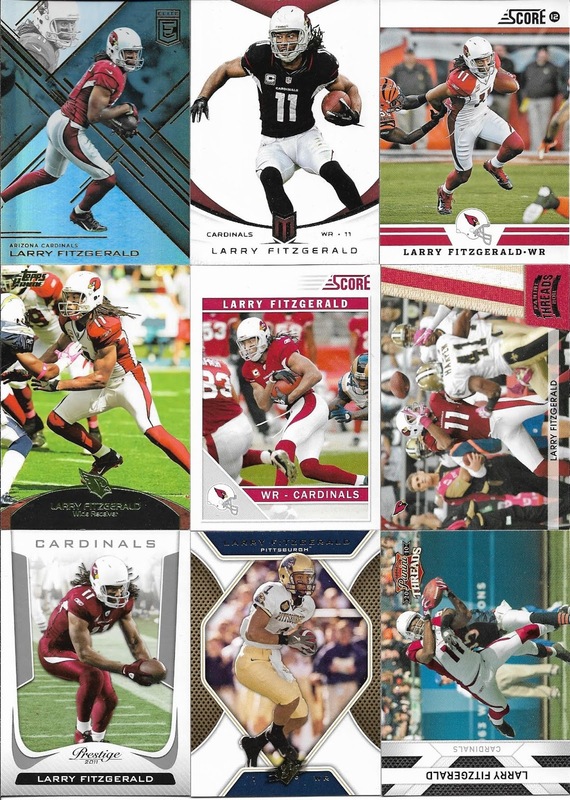 The other half of the same order that I featured the other day with the Larry Fitzgerald post is a decent selection of cards from a trio of baseball sets. Not sure what possessed me to stop at just 20 cards from each of the '82 and '83 sets, but that's what I did. 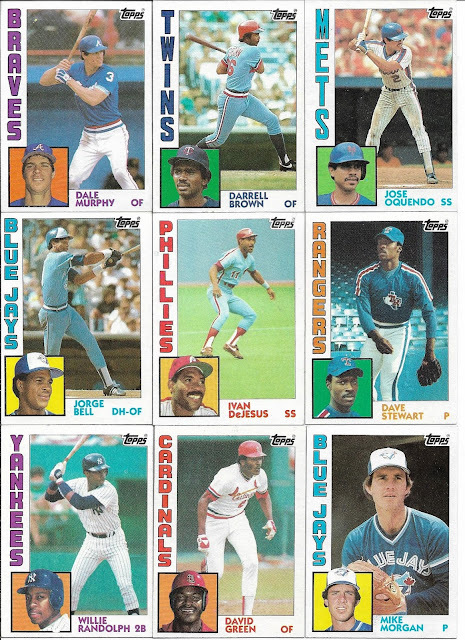 With the '84 set winding down to completion, the '82 (just over 40% done) and '83 (33%)sets will become the likely focus when I start knocking out some sets which are nearly done (more on that in some upcoming posts). But it's sets like this that bring back the memories. I was 10 years old when this set came out in the summer of 1978, and seeing these cards bring me back to a time when buying packs on the Danforth at the convenience stores for 25 cents was the thing. The string of sets between '77 and '79 are the ones that I remember collecting the most as a kid, and finishing these 3 will give me sense of satisfaction that I never had when I was a pre-teen. At least now that I've got this post completed I can get this pile off the desk. From a couple of different sources come 34 more Larry Fitzgerald cards to add to my fastest growing player collection, which now sits at 302 cards. 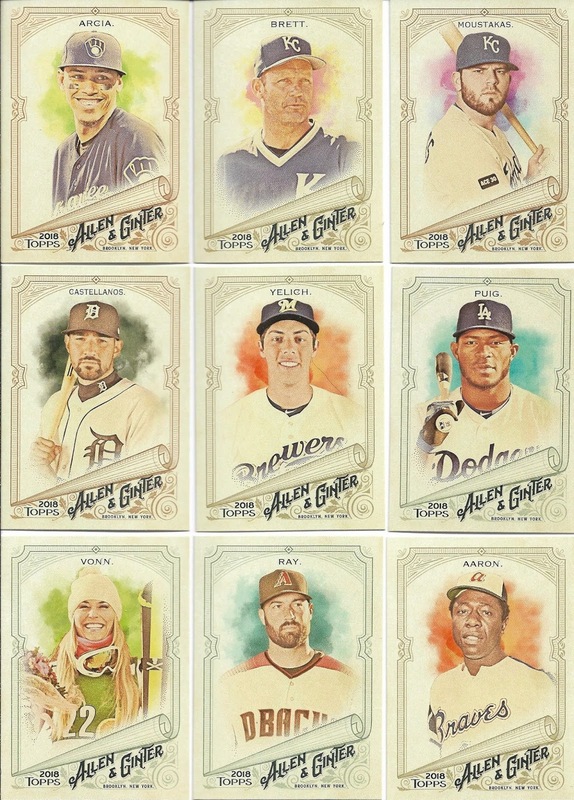 It's very hard to tell, but the Topps Prime card in the middle row on the left is the Aqua parallel. It looks more like a green parallel, but I'll take Topps' word for it. 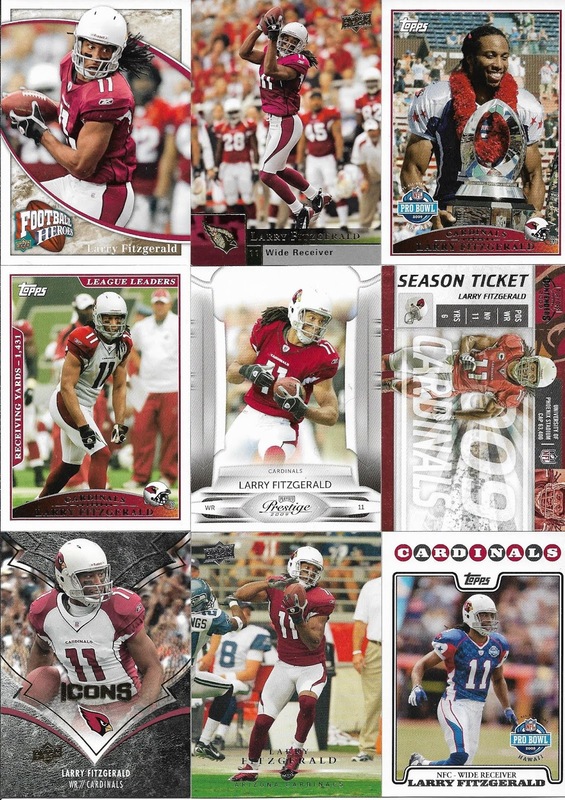 What I've noticed while collecting Larry Fitzgerald cards is that there will be lots of rainbows to chase. 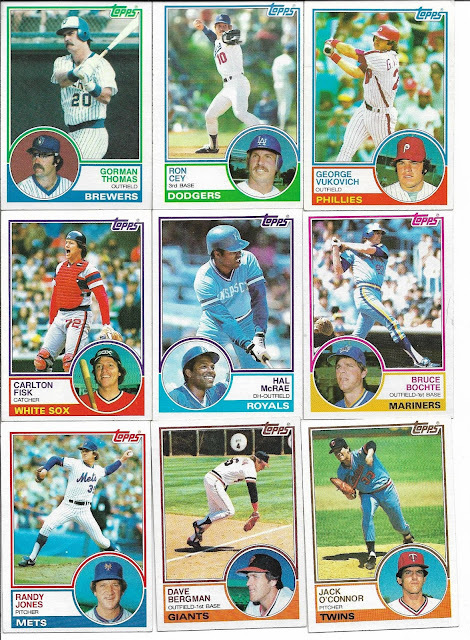 I'm trying to knock down a lot of the base cards before hunting the parallels, which are usually pretty inexpensive. The next scan is part of a mega package that I received from now retired blogger Wes, whose swan song on the blogging front came in the form of a mega-mega break. 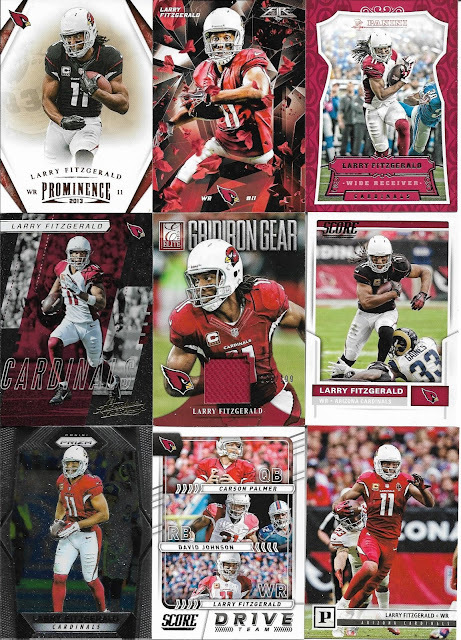 One of the teams that I picked was the Cardinals, and lo and behold I snagged a page's worth of cards. Right in the middle is my 4th (?) 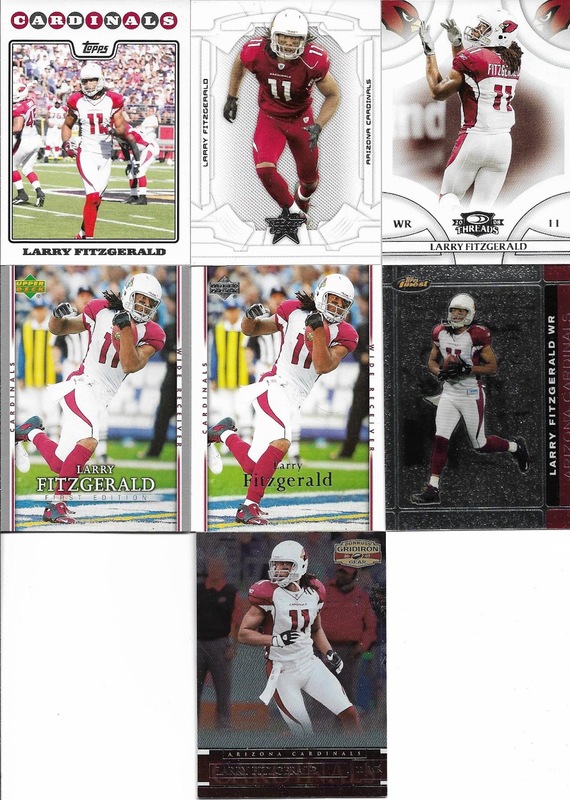 jersey card of Fitz, a 2013 Donruss Elite Gridiron Gear #'d 165/199. I'm already getting the Score Drive Team cards confused (bottom row middle). 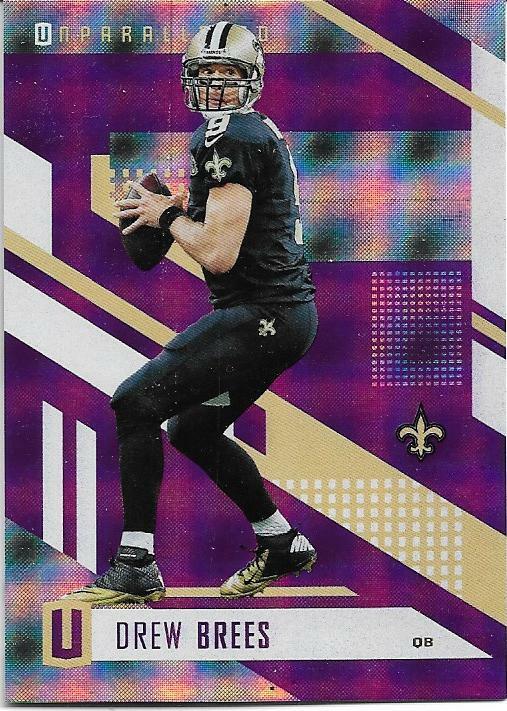 It seems that there are two versions of this card featuring Fitz, one has Carson Palmer which you see above, the other features Kurt Warner and Edgerrin James, of which I have the base and yellow parallel. Football products I guess can be just as confusing as baseball, if not more so. 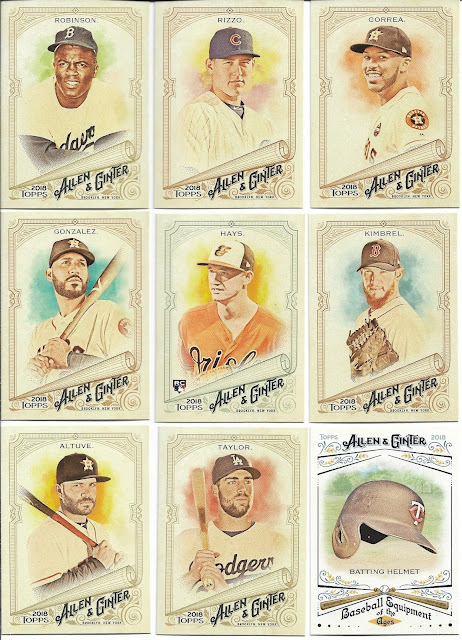 Again, I took a brief break from blogging (12 days to be exact), but similar to the last couple of times I took a couple of weeks off, I've been busy in the card world. I completed a trade with a fellow from Norway, netting me a few hockey cards for my 84-85 set build, which is coming along nicely. I received a mega box from everybody's favorite retired breaker, Wes. Totally unexpected what I found inside. That post is to come in the next few days. But let's go over my plan for this weekend's card show. My plan was derived from one of the 2 Sportlots envelopes I received today. Sometimes I wonder what my train of thinking is when I'm making purchases on Sportlots. 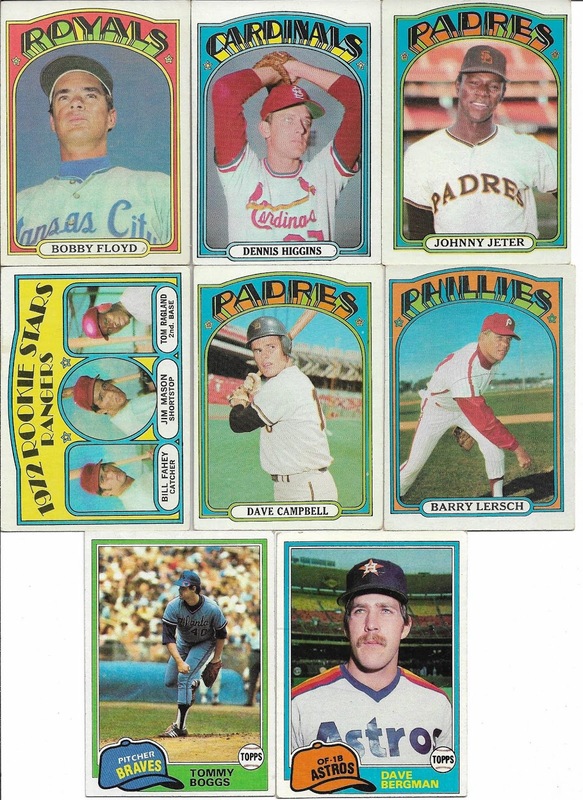 Upon reflection, I purchased a bunch of cards from one set, and realized I wanted more to fill out the envelope. I decided on a bunch of '76s which at 18 cents apiece doesn't come along very often. Need just over 100 more cards to finish off the '76 set! A lot of names I've heard of or watched in my youth, but nobody you would call a major star. 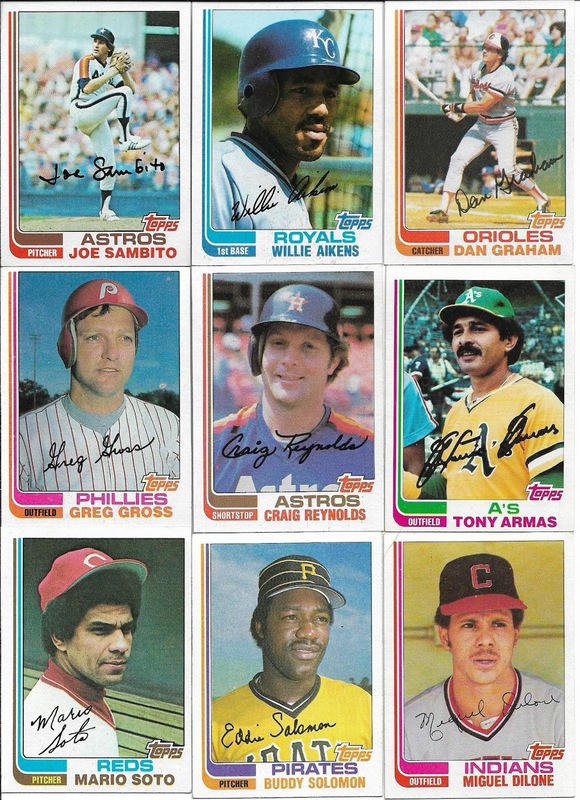 Same as the '76 portion of the envelope, no really big star names here, but a lot of names that I recognized (save for Scott Ullger). 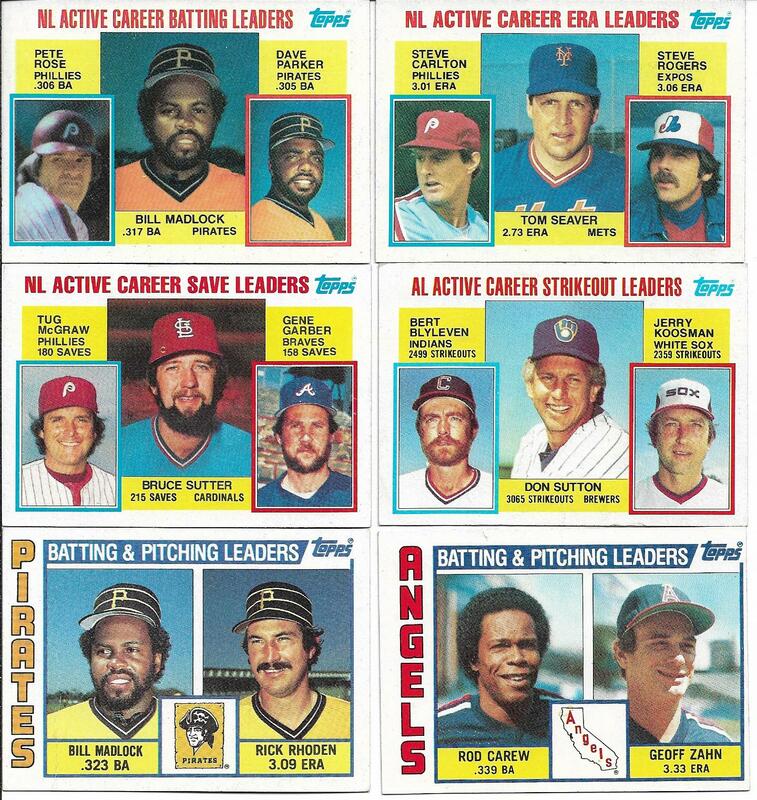 I like the active career leaders cards, some big names on those. 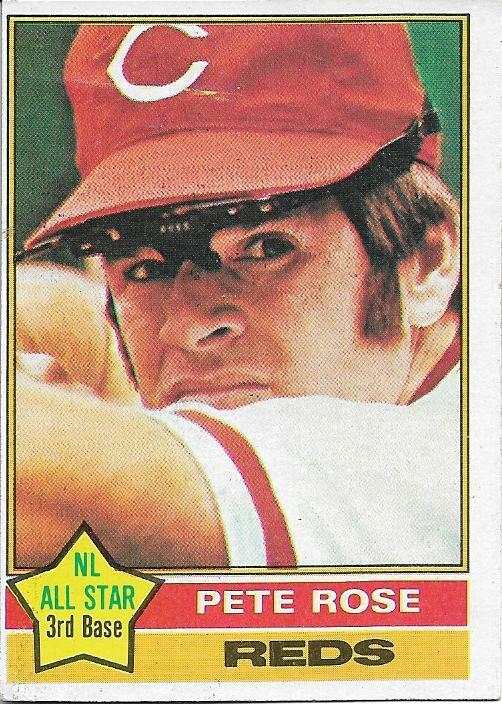 What stuck out the most is the Pete Rose career .306 average after 20 years in the big leagues. Now on to the plan for this weekend. I need one big RC from each of the sets above. 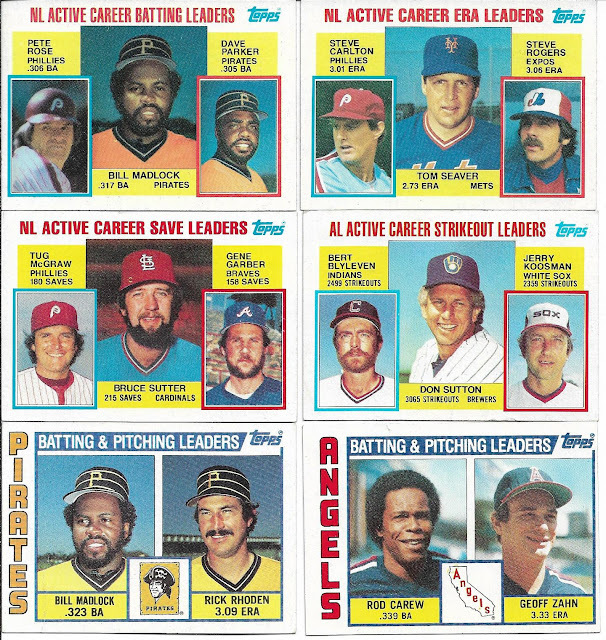 Dennis Eckersley's card from the '76 set I'm hoping to find for around $20, and the Don Mattingly RC from '84 I'm hoping to nab in the $10-$15 range. If I can get those two cards for under $40, I'll have some extra to spend on some other stuff, maybe knock off a few more '76s! Get the Mattingly RC this weekend and I should be able to grab the other 9 cards that I need sometime soon to finish off the '84 set.